TOKYO -- Toyota Motor Corp. defended its crown as the world’s biggest automaker in 2014, selling 10.23 million vehicles to keep a slim lead over German rival Volkswagen Group. But the Japanese giant also forecast sales to slump 1 percent to 10.15 million in the current calendar year, on the back of slowing demand in Japan and emerging markets. It would be the first time sales have fallen since 2011, when Japanese automakers were broadsided by the killer Japanese earthquake and tsunami that derailed production and sales. Another retreat could open the door for VW to steal the lead in 2015. Toyota sales, including deliveries from its Daihatsu minicar subsidiary and Hino truckmaking affiliate, climbed 3 percent to 10.23 million vehicles in calendar year 2014, the company said today in a release. Volume exceeded 10 million units for the first time at Toyota. The total edged the 10.14 million vehicles sold by VW, which also crossed the 10 million-unit mark for the first time in 2014. General Motors Co., the biggest U.S. automaker, finished third in last year’s sales race, with global volume rising 2 percent to 9.92 million vehicles. Both Toyota and VW had forecast sales to exceed 10 million in 2014. VW CEO Martin Winterkorn has been pursuing growth as part of a plan for the German automaker to become the world’s largest automaker by 2018. He had originally envisioned sales of 10 million units by then, but as shown by his company’s 2014 results, VW is far ahead of schedule. Toyota has resumed its sales march after being thrown off pace in 2011 by the Japan earthquake-tsunami disaster that hit production hard for much of the year. That year, GM edged Toyota to reclaim the top spot. GM had held the title for almost 80 years before Toyota moved ahead in 2008. Toyota led the world in 2008, 2009 and 2010. In 2012, the Japanese carmaker reclaimed the title from GM with sales of 9.75 million. Last year, Toyota edged VW and GM with sales of 9.98 million. Looking ahead, Toyota expects sales outside Japan to increase 2 percent to 8.06 million vehicles. But that will be offset by a 9 percent tumble in domestic sales to 2.1 million units. 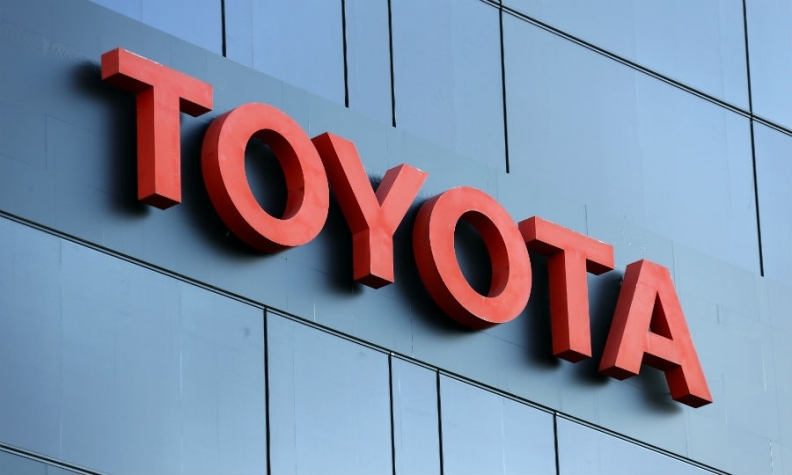 The parent company expects home market volume to fall 7 percent to 1.45 million for its Toyota and Lexus passenger car brands. Daihatsu and Hino sales are also expected to fall. The Japanese government raised the national consumption tax in 2014, crimping demand for big-ticket items such as cars. But tumbling oil prices are also sapping demand for fuel-efficient gasoline-electric vehicles, which account for a large portion of the Prius-maker’s sales. Toyota forecast domestic production to fall 6 percent to 3.97 million vehicles in 2015. But globally, it expects output to advance 1 percent to 10.21 million, partly on robust U.S. demand.